This is simply a matter of patience and a couple of good tools. And, if you happen to bake, there's double bonus here (all shall soon be revealed!). 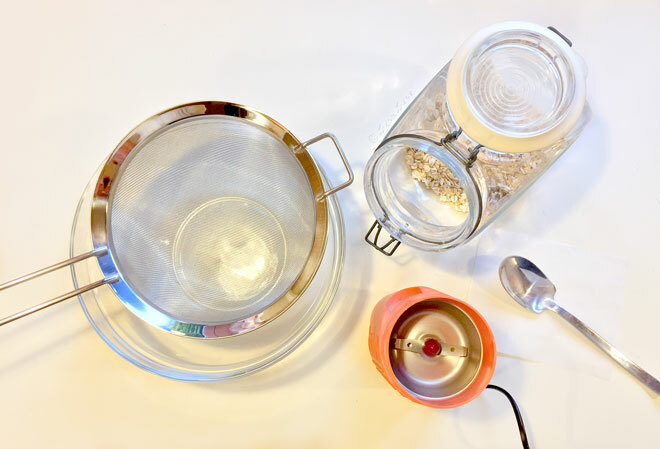 Today, we're going to make our own version of colloidal oatmeal! Shall we get started? 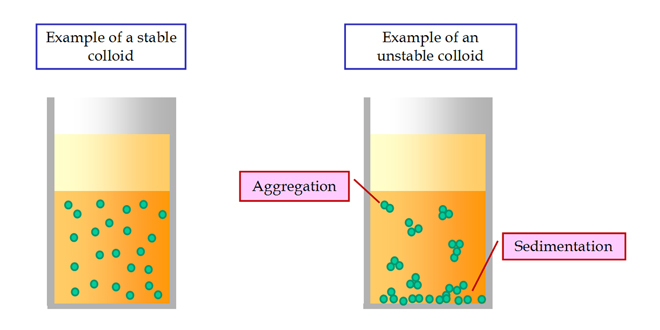 The word colloidal comes from the word colloid, which is a mixture in which one substance (such as oats) is microscopically dispersed in another (such as water, hydrosol, or any liquid). 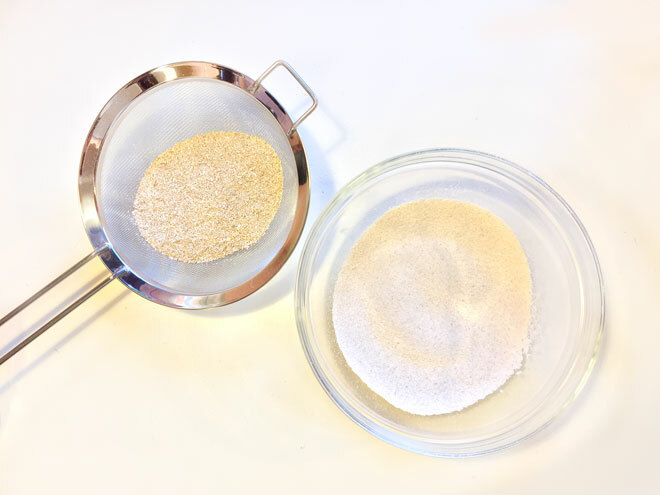 As oats in their natural state (and size) will tend to act like the example you see on the right, the object of this exercise is to create an oaty powder so fine and light that it disperses evenly and effortlessly in our chosen liquid. To disperse perfectly (and to make true colloidal oats) takes a bit more equipment and doing than we can do in a DIY setting. 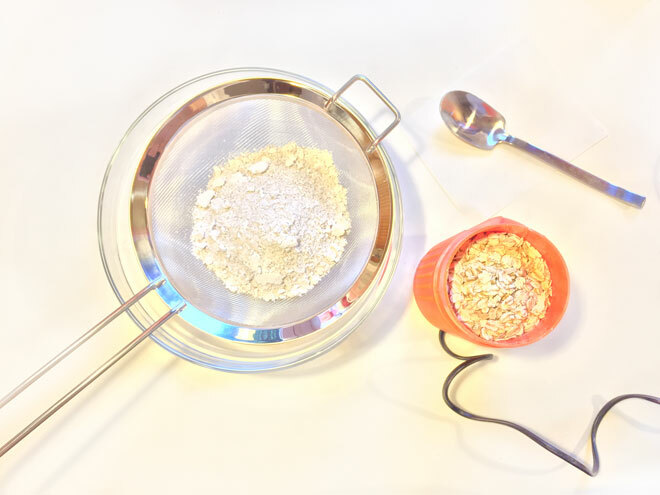 But we can approximate colloidal oatmeal and create a more evenly dispersible ingredient by grinding, sifting, and sifting some more. Start by grinding the oats thoroughly. Tip: You're going to be using a bit more than you might think, so grind up a fair sized portion. Pass the ground oats through your sieve. 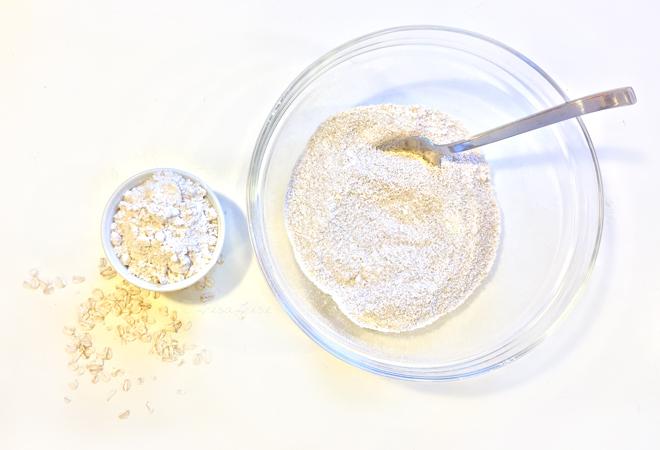 As you continue sifting, remove the large oat bits and place them into a separate bowl. Below: what was left in the sieve after 3 passes. When you have achieved the silkiest, smoothest powder you think you can possibly achieve, your oats are ready to be packaged in an airtight container and labelled with a date until you choose to use them in your bath, face cleansing powder, or other lovely product. If you check the picture at the very top of this post, you'll see how much there was left after grinding, sifting and sifting some more. The cup on the left holds the sifted oats. The bowl on the right is the leftovers. Now, if you're anything like me, you can't bear the thought of tossing the leftovers and want to find something to use them for. 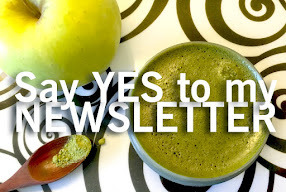 Do you use ground or colloidal oats in any of your skincare products? Please share in a comment below. I love them sprinkled for rash skin, and I loooove an oats bath: put some oats in a muslin cloth with lavender essential oil and let it simmer like a tea bag on your bath water. Just amazing! Hi Jennie - You can kind of decide when you are finished by testing the feel and function of the powder. Some folks grind and leave it at that. It's a question of taste and of course what you want to use it in. When you say left over what do you mean? The bowl isn't useable for the bath products? What makes it left over? Hi Ladybug - I suppose if you have a serious enough grinder, you could do without sifting. HI Stephanie! Pleasure to hear from you! I found the sifting helps quite a bit - enough to where it works for my needs. 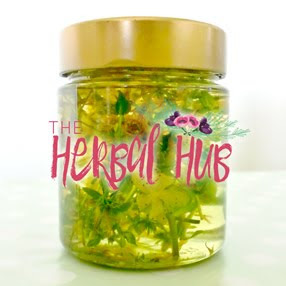 I just discovered your blog through the interview you did with Marie from Humblebee. Glad to find another great resource on skincare! I also love colloidal oatmeal. 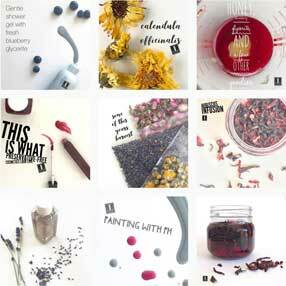 Love it in the baby bath and mixed in with other goodies for a nourishing face mask. I'm actually working on a dry powder massage with some plant based ingredients and colloidal oatmeal for an upcoming workshop. I can't wait to check the rest of your blog.Thanks! I read with interest your article about what is collodial oatmeal. The discussion came up in our soap group and somebody posted your link. What I don't quite understand - you say here: ground up your oats - from the picture I would assume you mean rolled oats? But in the first article you state that collodial oats is made from whole oat grain? So wouldn't it be the correct way to mill the whole oats and then grind the flour really super fine, then sieve? Hi Mink Soap - Sounds like it might be worth a try. I did grind for a long time in my grinder and assumed mine had 'reached it's limit', but I do think I'll give your suggestion a whirl in my next batch. Thanks for posting this method. I was excited to see how it would work compared to using new, clean pantyhose material, which is quite time consuming. I was rather impressed that it removed a lot of the bran rather quickly. However, I am not sure if my oats were ground too finely or if my purposes require a much finer powder. 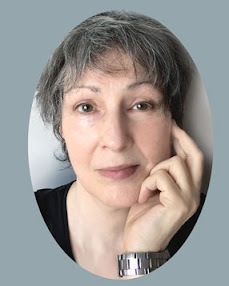 When using it as an alternative to dry shampoo (much silkier and less noticeable than most dry shampoos/arrowroot powder) or for skin care, a lot of tiny bran flakes were visible. For those who need a very fine powder, a finer mesh may be necessary. Thanks for sharing Erin. It is indeed the bran that will clog up the filters. If you need the completely silky smooth powder then real colloidal oats is the only alternative. LOL! Yes, it takes ages to sift out a decent amount of powder with pantyhose (or Gildan Foot Covers) for that reason. Although, the extremely fine powder clumps too, so I have to shake it down and use a brush to clear the mesh regularly. I think the next time around, I will try not to grind it quite as fine and see if the powder will sift out easier with your method.